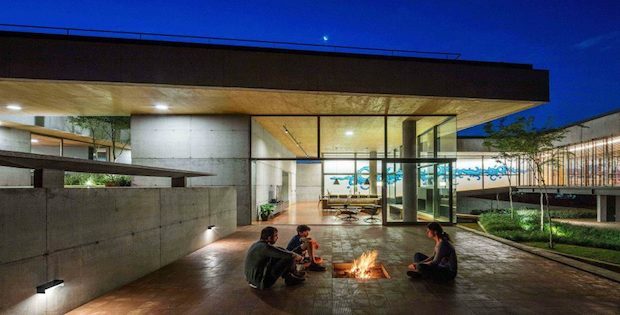 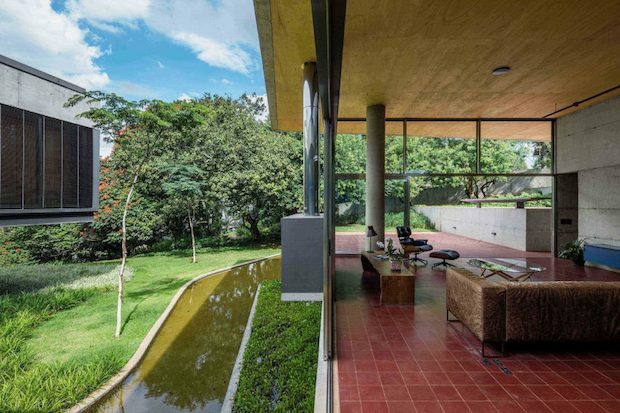 The Casa em Cotia (House in Cotia) located in Sao Paulo, Brazil will make you feel at home with nature. 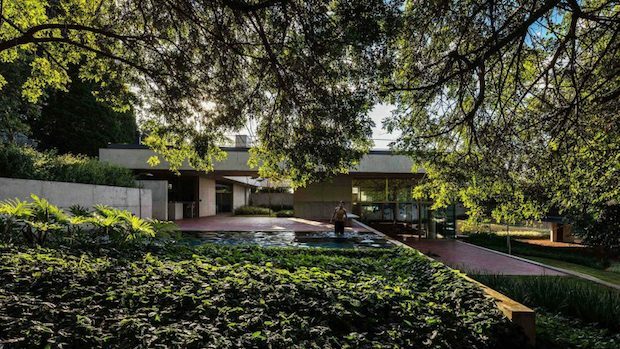 It features a 45-meter-long roof with grassy and sandy themes which highlight the color scheme of the surrounding woodlands. 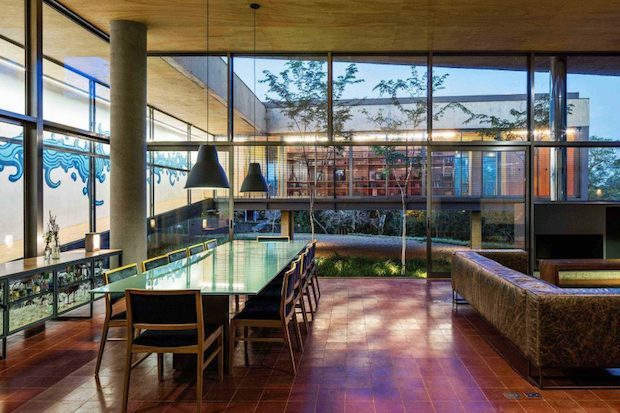 Each of the three structures that make up the home is sized at about 730 square meters, all of which isn’t shy to be open to nature with their floor-to-ceiling windows and glass walls for a healthy helping of natural light and some amazing views of the lush landscapes.